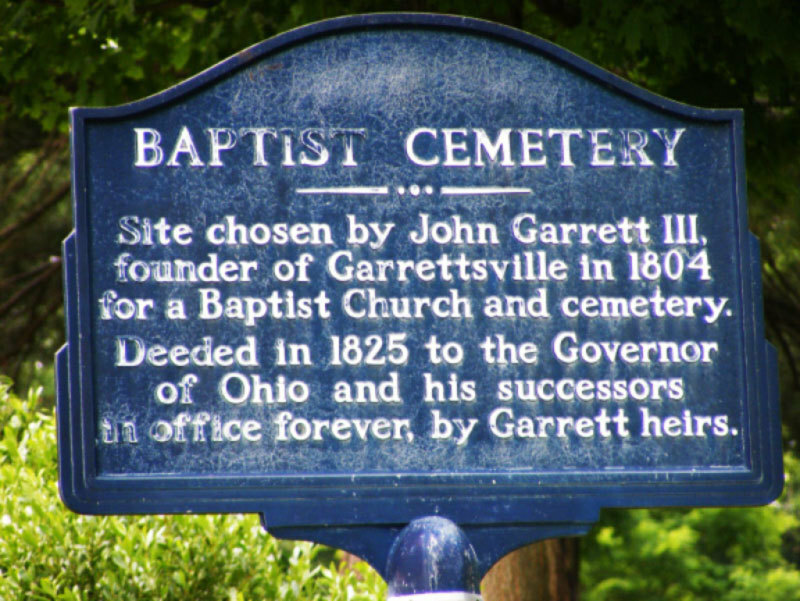 New members were welcomed at the September meeting of the Garrettsville Cemetery Association as more ideas and plans were discussed concerning the Old Baptist Cemetery. Volunteers have cleaned the shrubbery and bushes in front of the Old Baptist Cemetery on Maple Avenue and the walkway and steps leading to the top of the hill have been cleaned of overgrown grass and weeds and layers of dirt. Layers of grass and dirt have been carefully removed from several old markers as well. A copy has been made of the 1929 map of the cemetery drawn by William Alford. A list has been compiled and it is being paired with the list of grave sites and markers from the Portage County Cemeteries Volume XII, 1800-1995. It was suggested that the map, which is stored at the Garrettsville Village Hall, be professionally copied so that there is more than one copy. The group is hoping to start cleaning some of the old stones that are covered with lichen and mold before the weather turns. Information on the correct way to clean the stones without any damage to them is being researched. The next meeting of the Association will be Wednesday, Oct. 24 at 7 pm in the Historical Society Building on Main St. Anyone with an interest in the Old Baptist Cemetery is welcome to attend.